Years before I had this autograph website, I had my own personal site, which was all about me and my interests. A complete, alphabetical text list of my autographs was on that site. Sometime in 2000, Jeff found my site and sent me an e-mail telling me that he used to play for the Ohio Valley Redcoats, an independent baseball team in the Frontier League. He offered to send me an autographed baseball card of himself. So, I gave him my address and a few days later the card arrived. 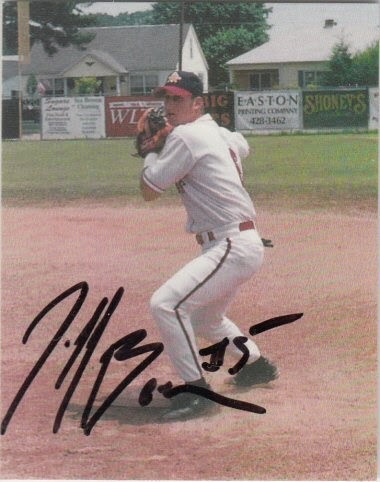 Jeff signed a 1998 Ohio Valley Redcoats Team Set card.